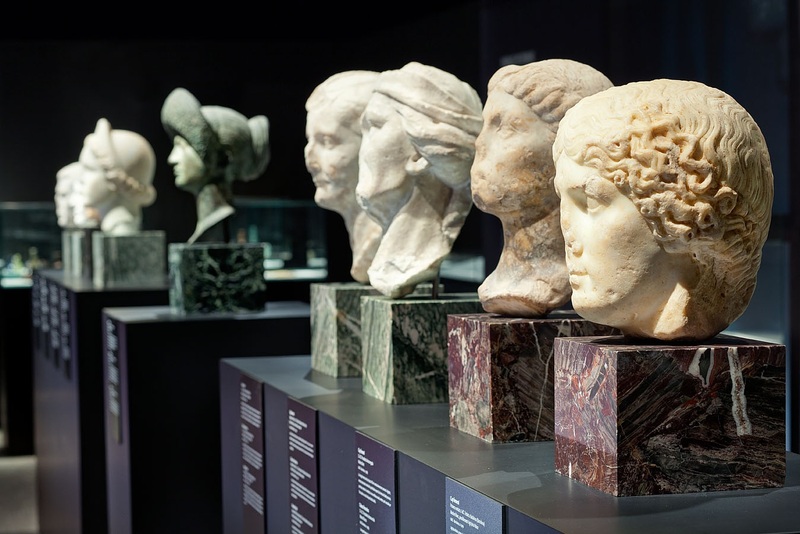 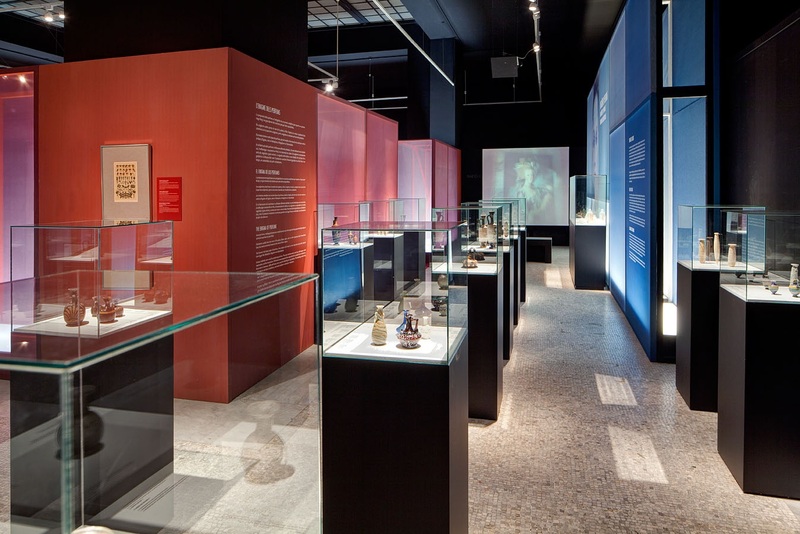 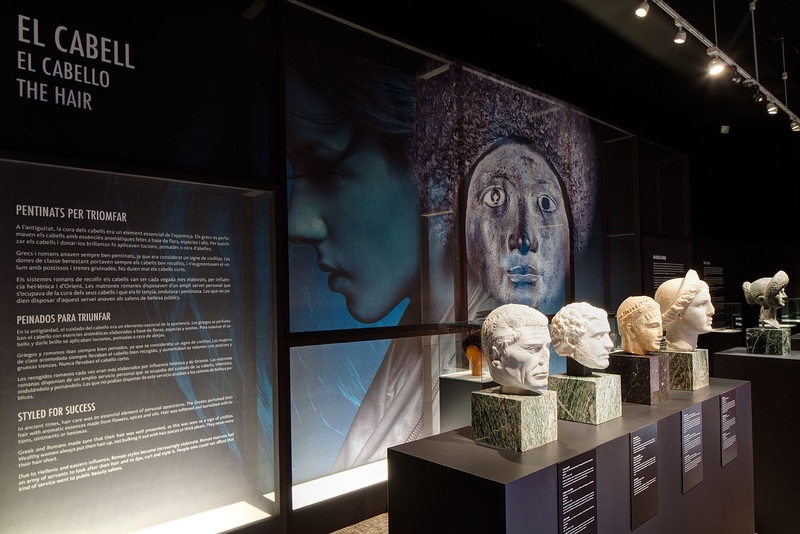 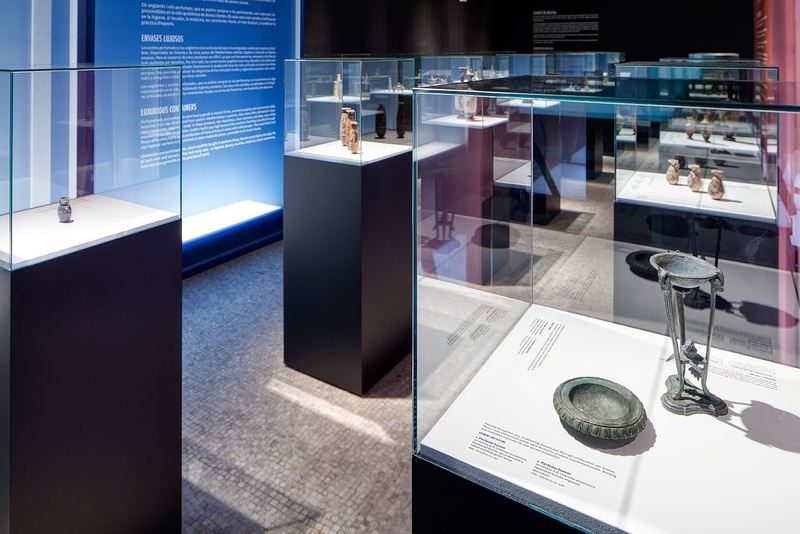 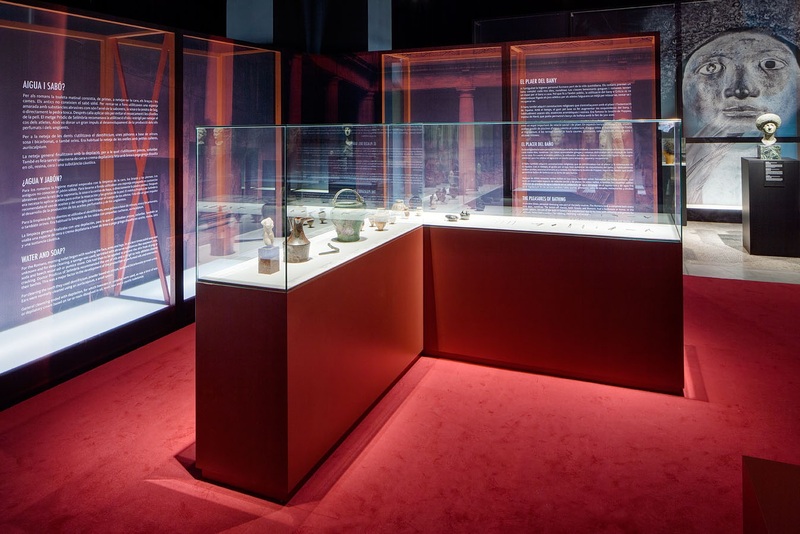 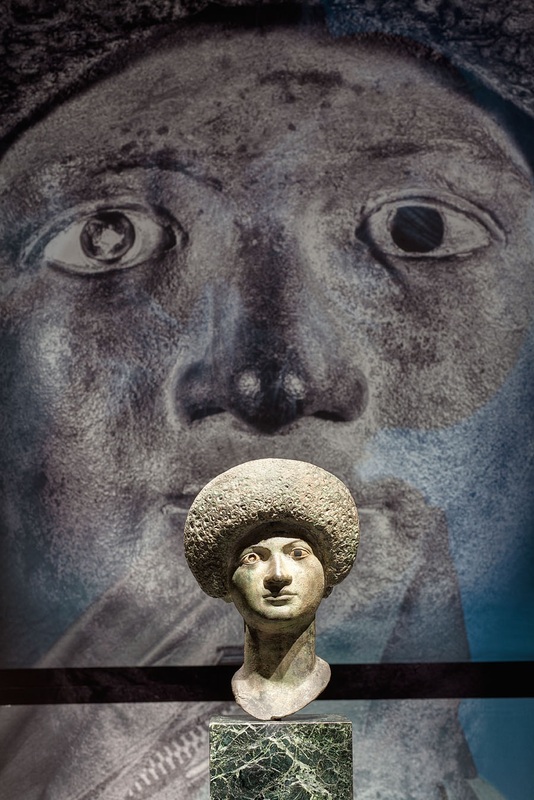 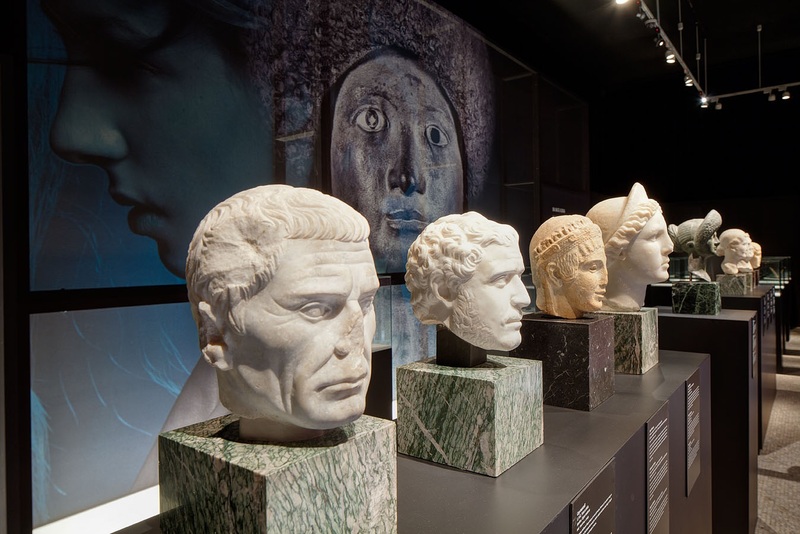 This exhibition project focused on the idea of beauty, from the classical era to the present, through pieces from the ancient world, juxtaposed with others from contemporary times. 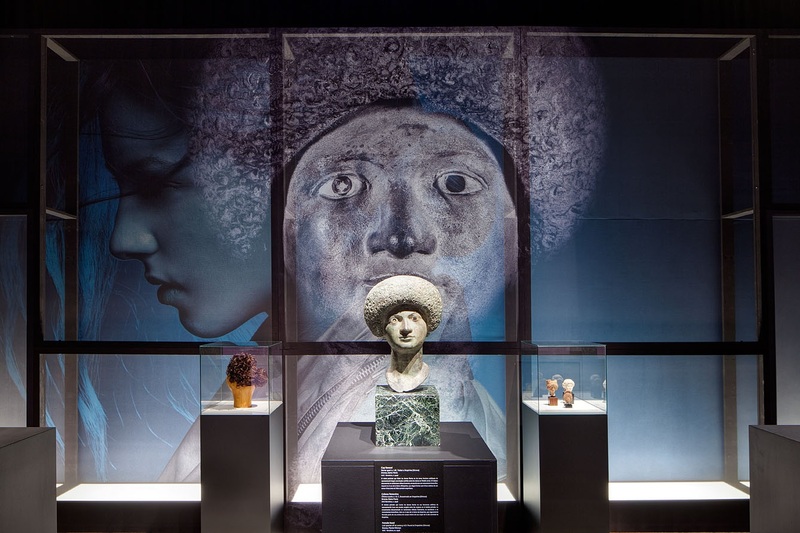 Through a play of transparencies and reflections, this exhibition explores classic beauty ideals by overlapping them with current ones. 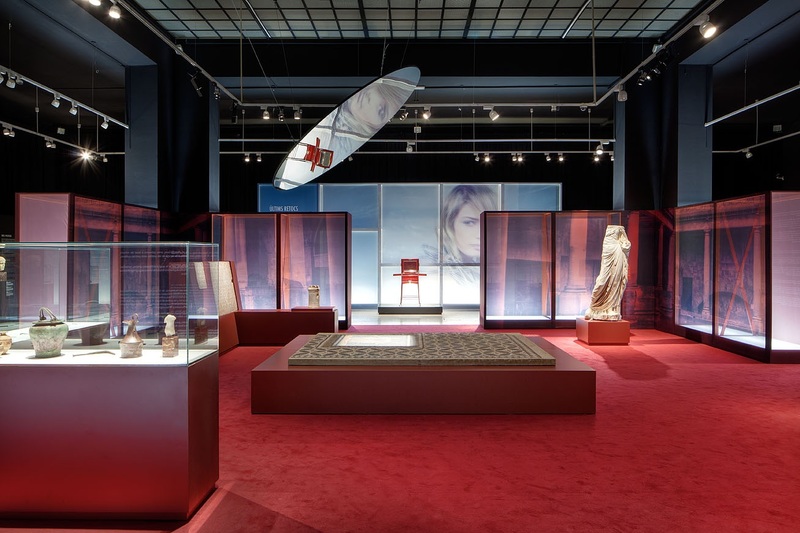 A central space that emulates a Roman bathhouse comes to symbolize the cult to the idealized body in Roman civilization, and in ours. 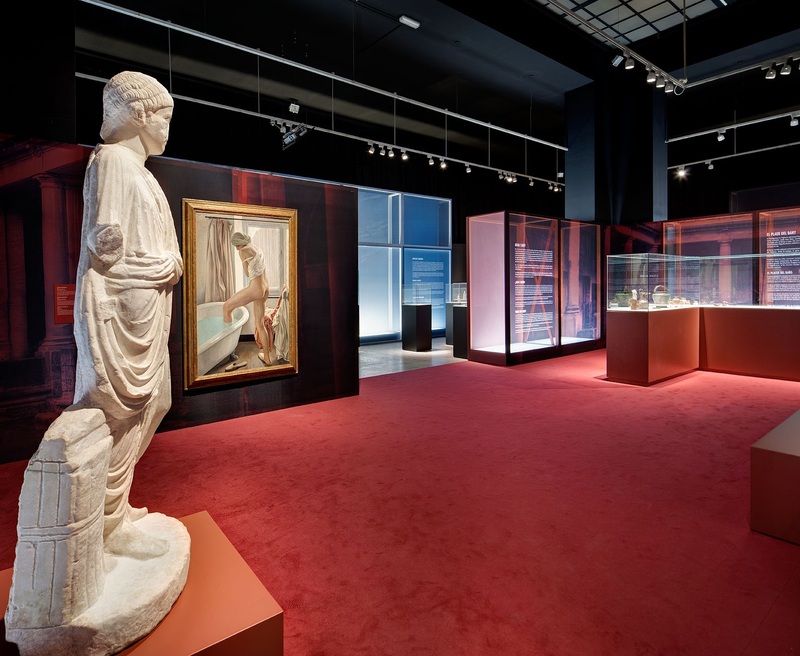 Here we find two classic sculptures that embody a particular idea of beauty which, as we can see by looking at the early 20th century paintings hung behind them, maintain more similarities than differences. 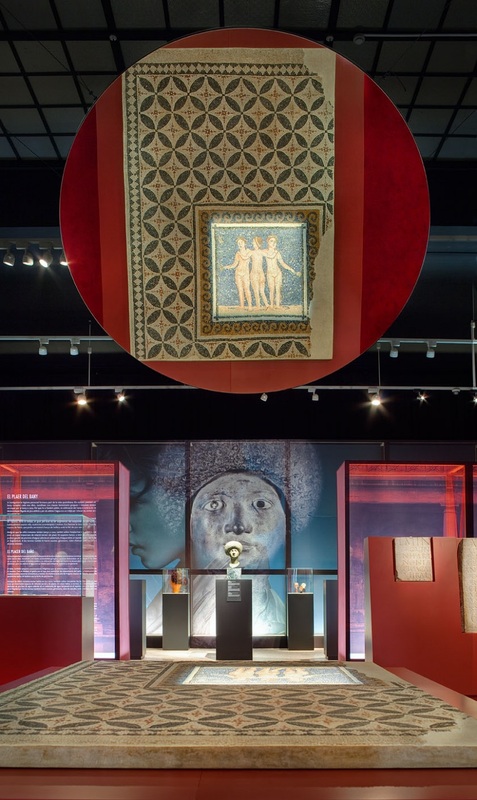 In the centre, we find a piece with great archaeological value: a mosaic that includes a small representation of the Three Graces. 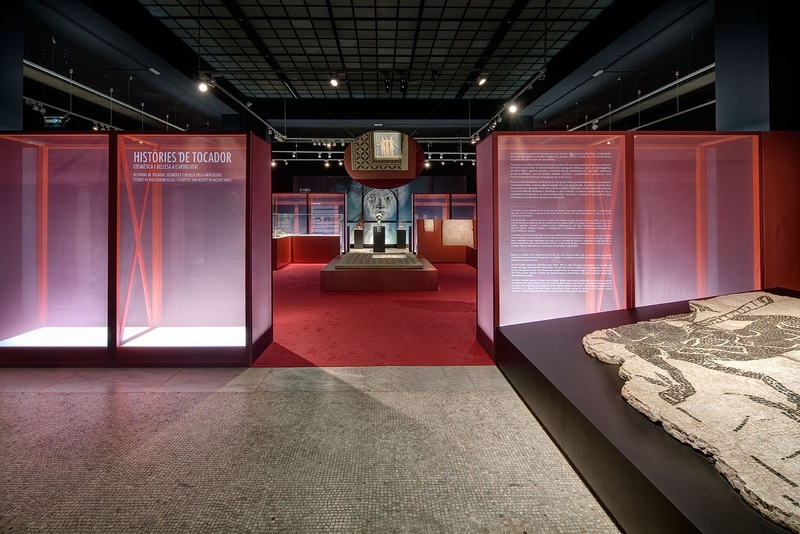 Instead of placing it on the wall, we decided to maintain its original position on the ground and generate a visual effect through a large mirror. 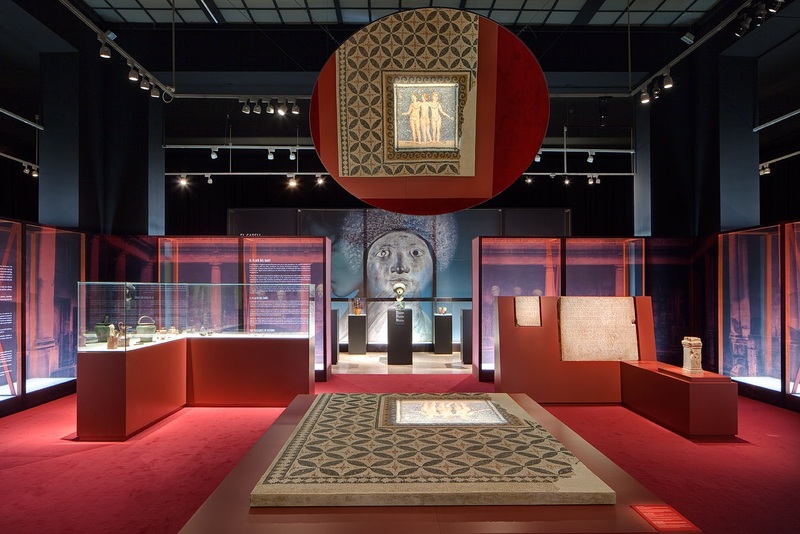 Installed at the proper inclination, the mirror lets us observe the three figures as though they were standing, from the entrance of the room. 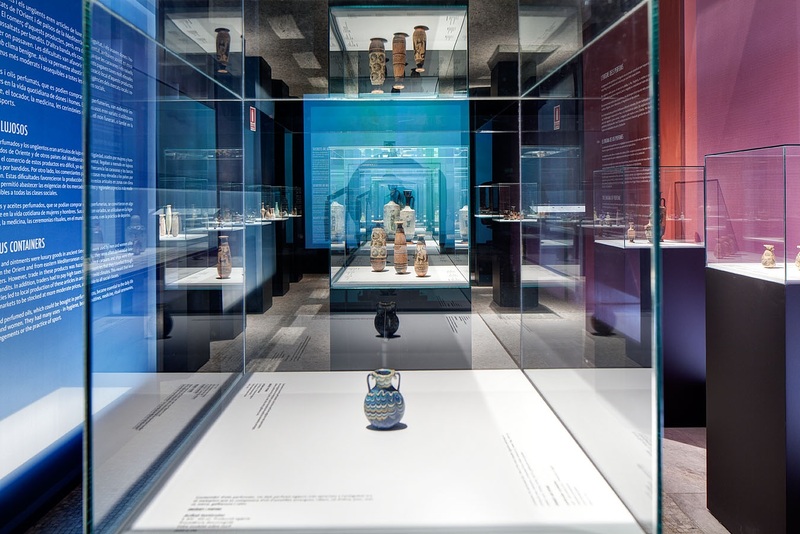 This trick also synthesizes the general concept of the exhibition: the idea of beauty, a reflection of a captivating illusion. 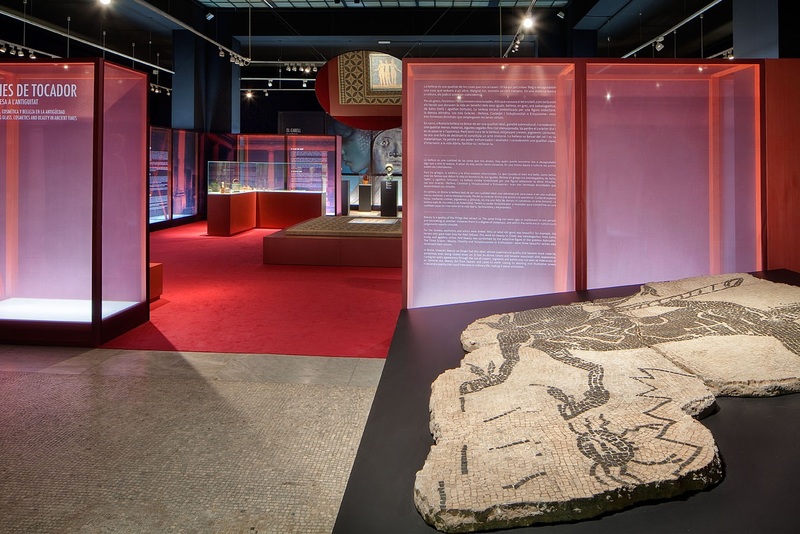 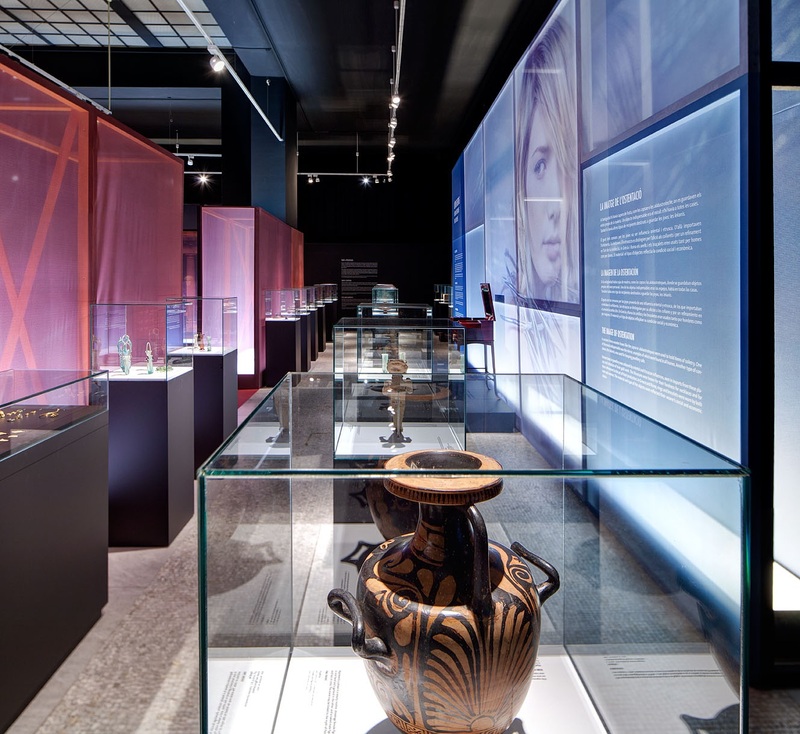 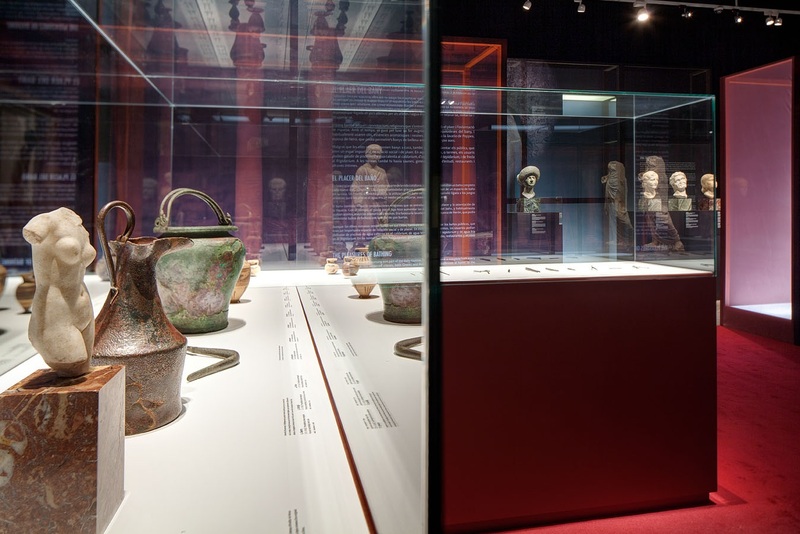 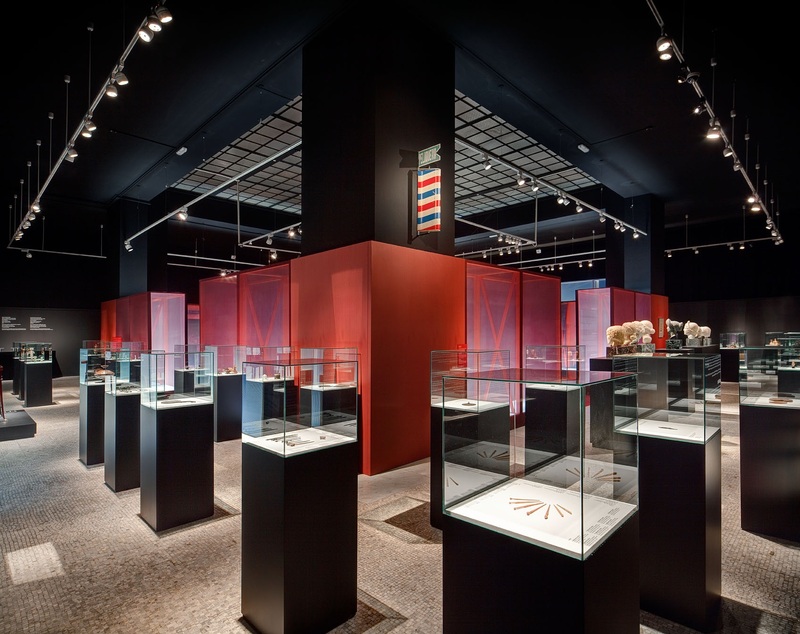 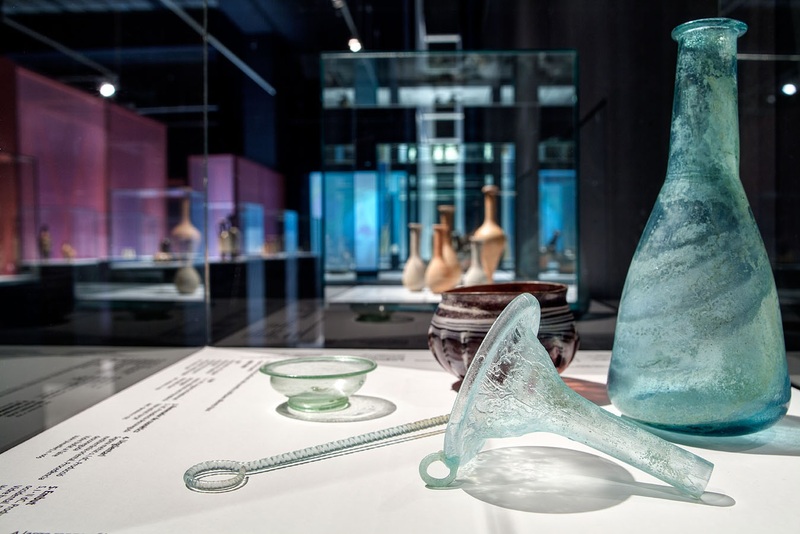 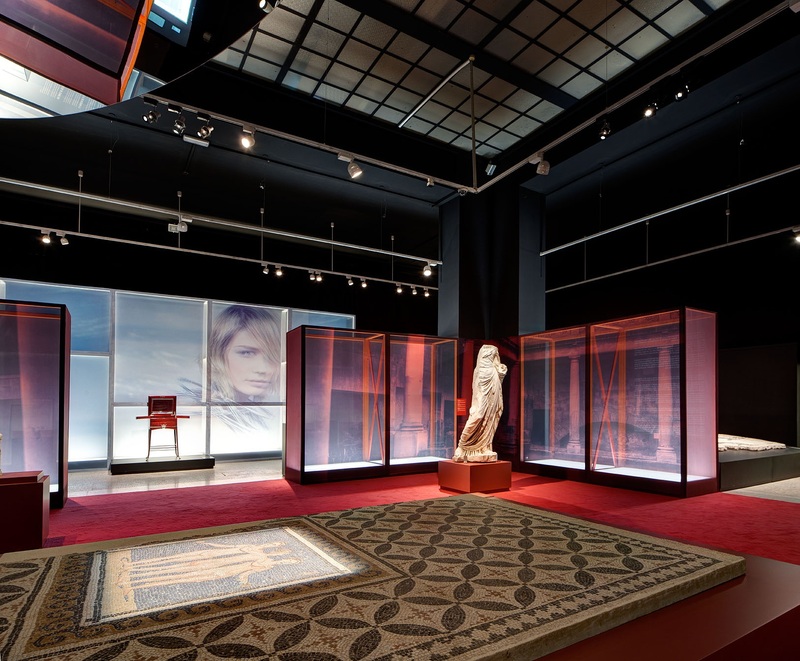 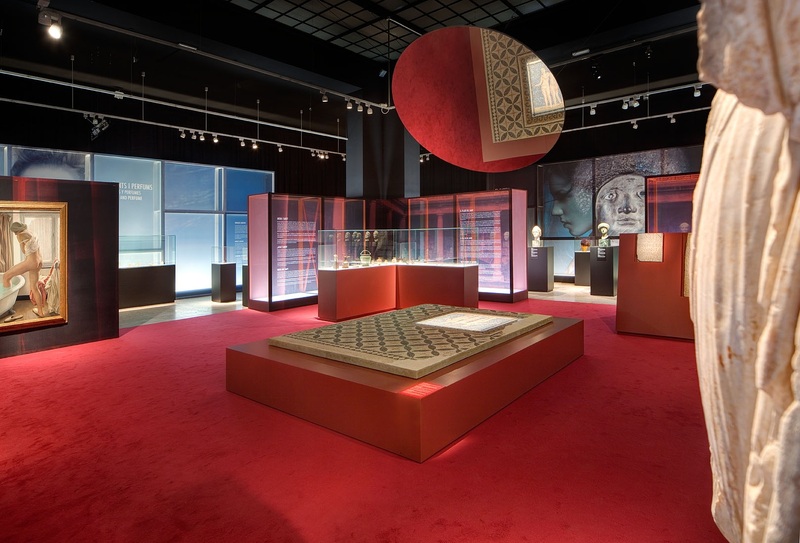 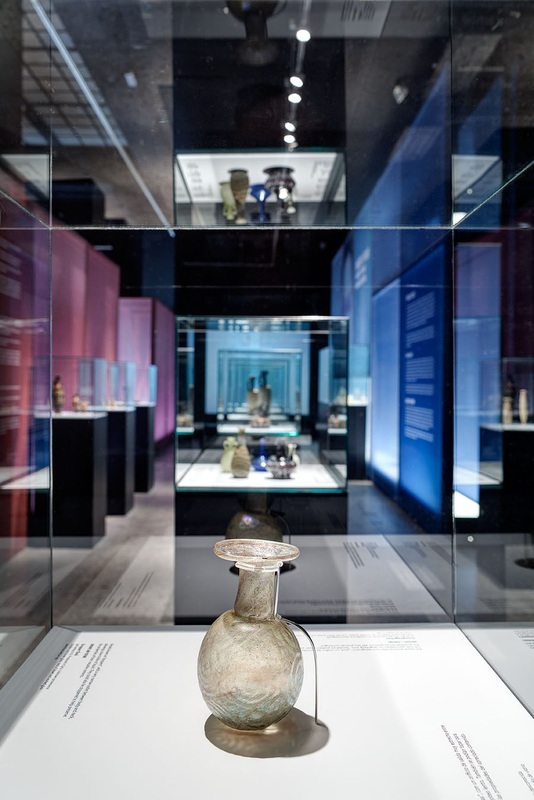 Around this central atrium there is a gallery where archaeological objects associated with cosmetics are exhibited. 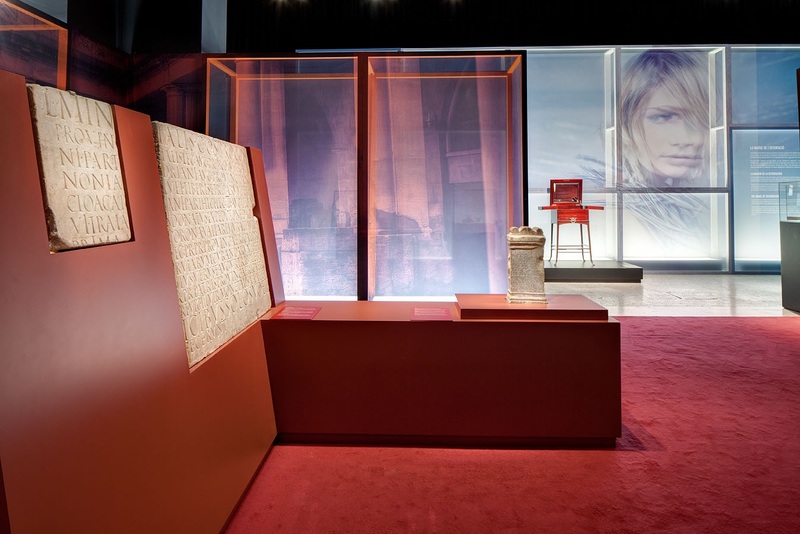 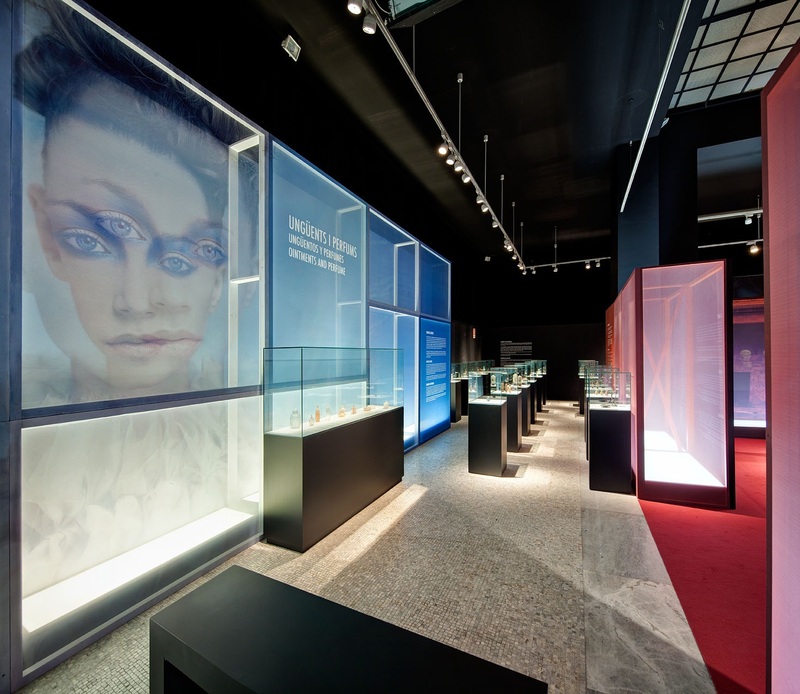 The two spaces are separated by light boxes built with transparent red tulle; around the gallery the explanatory texts are reproduced in blue light boxes. 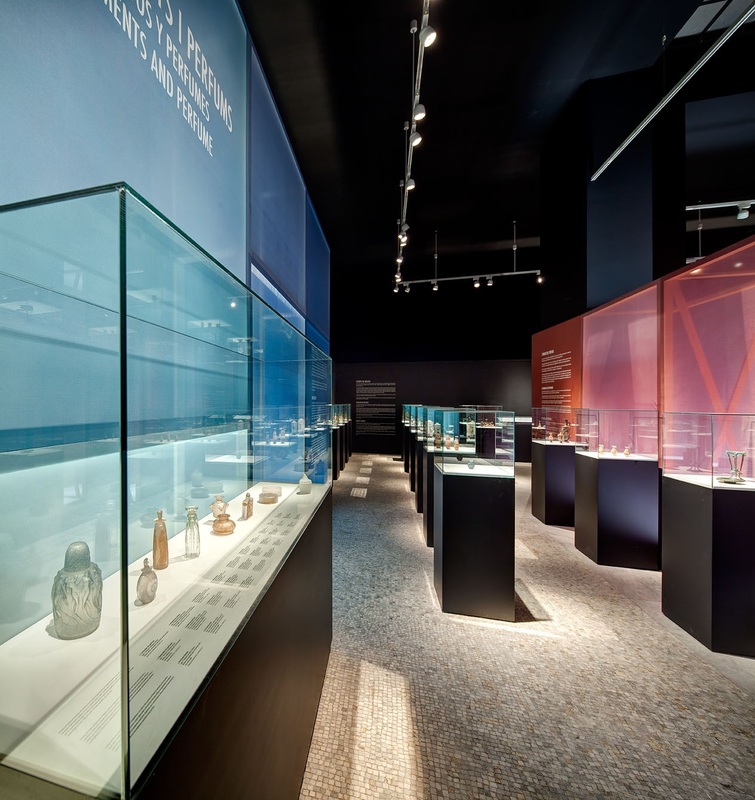 Both lights combine as visitors move through the space. 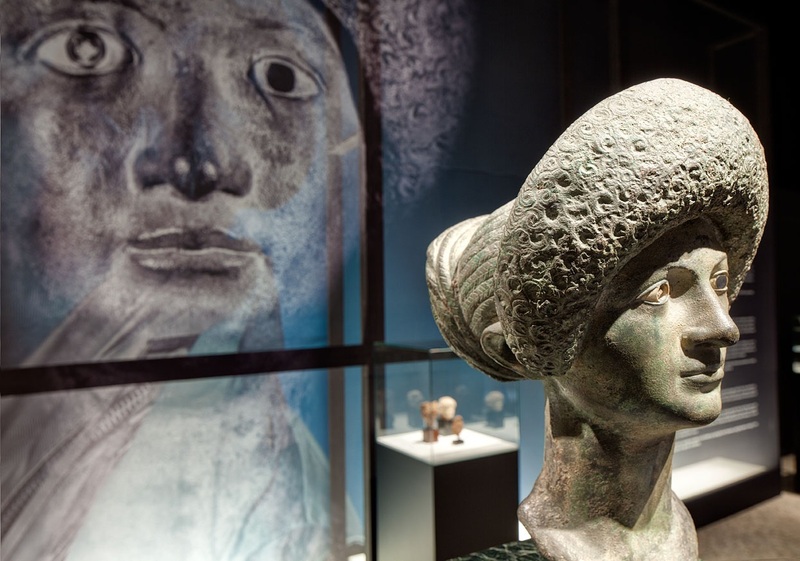 On the central axis we find one of the most curious pieces, the Flavian Woman, with her hair done up in a sophisticated hairstyle, a highly symmetrical figure. 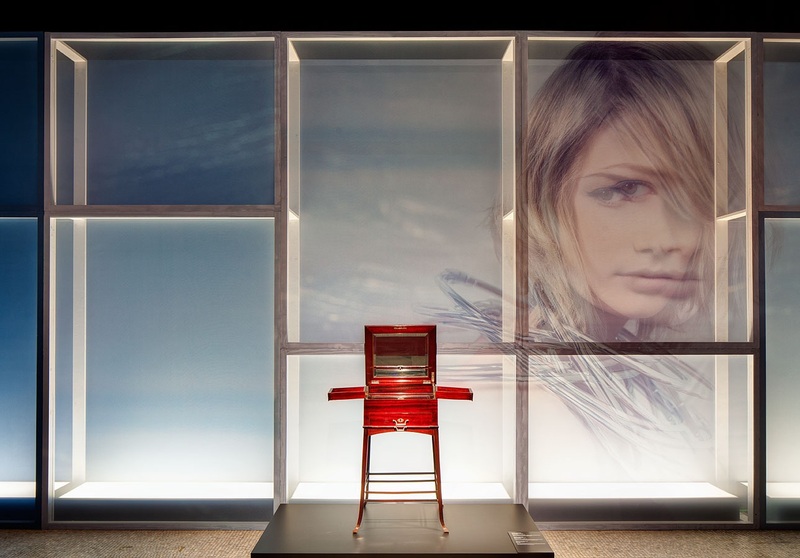 The scenography that accompanies it aims to enhance what its delicate profile expresses: the sacralization of classical beauty as a kaleidoscopic reflection of the human condition.